We are still on a berry kick after going raspberry picking at a local farm last week! I used some freshly picked raspberries to make Frozen Raspberry Lemon Muffins last week and froze the rest of the berries we picked. 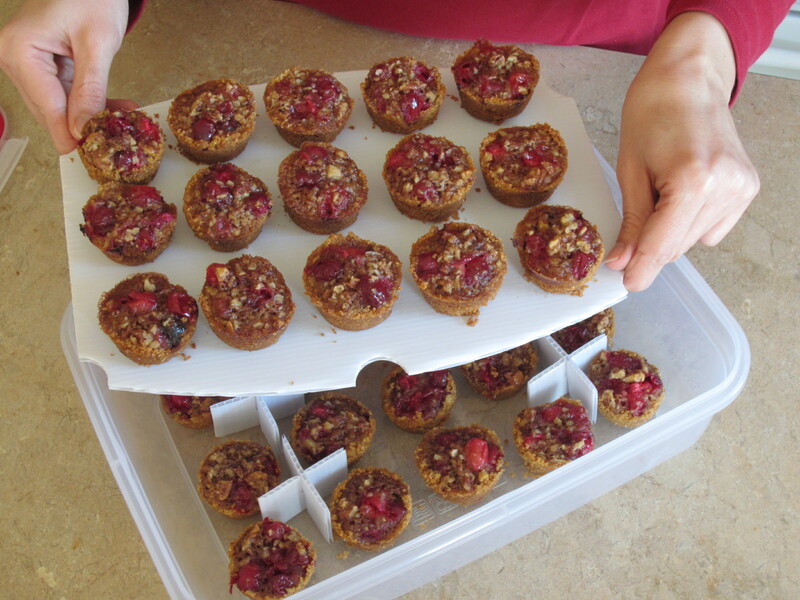 To freeze, just gently lay the washed berries on a cookie sheet in a single layer and place in the freezer until frozen. The berries can then be transferred to a zip lock bag. My kids are begging for a raspberry pie tonight! 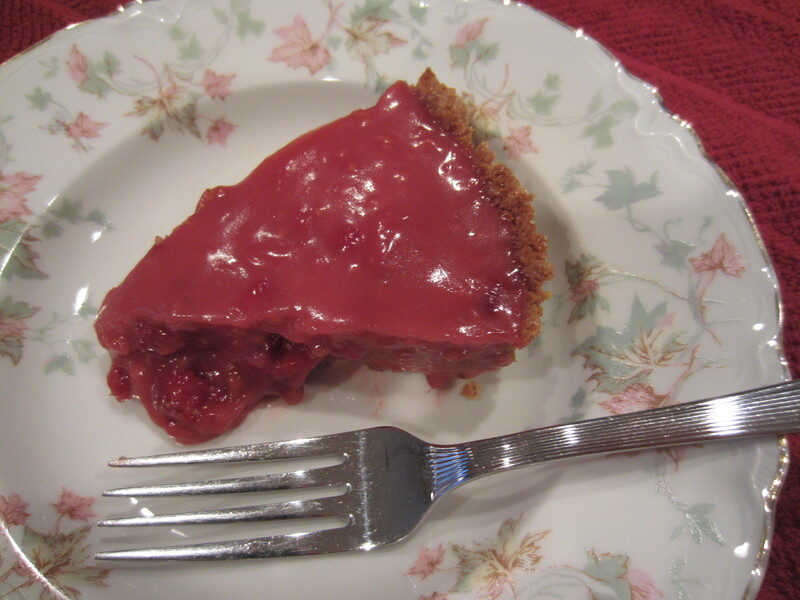 I found the perfect recipe called Grandma’s Fresh Raspberry Pie on the my local berry farm’s website You Pick Berries. It is so easy and so delicious! Bake in a 400° oven for 10 minutes. Boil 1 cup water with 1 cup of raspberries for 2 or 3 minutes. 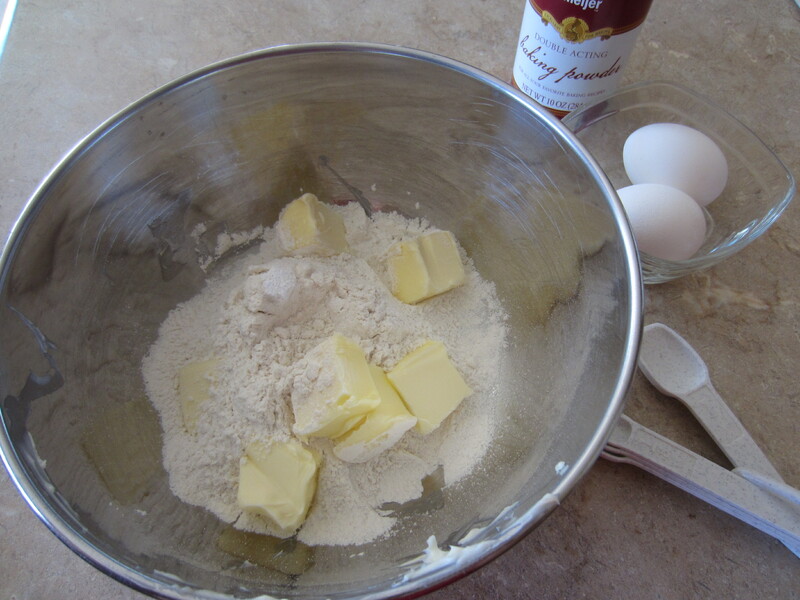 Mix flour, corn starch, sugar and salt with ¼ cup water. Add the mixture to the pot of boiled water and berries. Cook and stir until thick. Remove from heat and add butter and let cool. 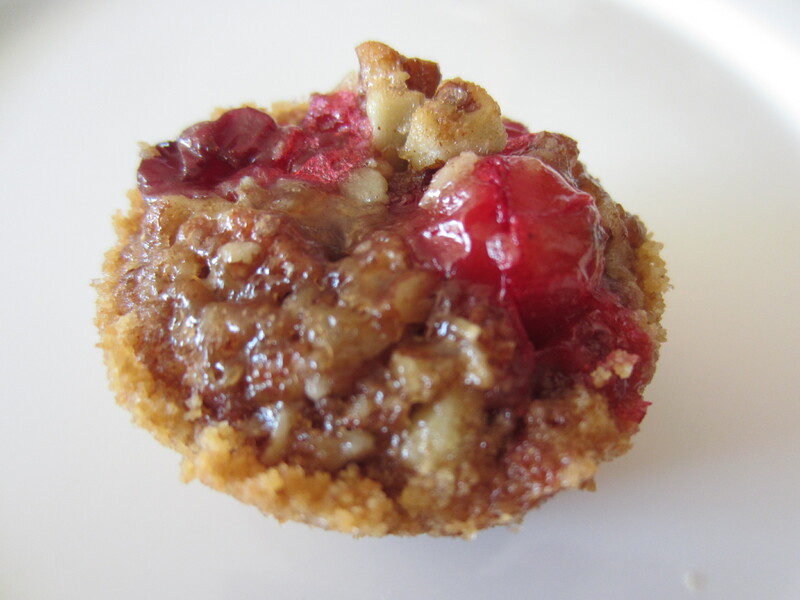 Put 2 cups berries in baked pie shell. Pour cooled berry mixture over top and chill. My family will enjoy one pie for dessert tonight and I froze the other pie by wrapping the pie tin it in foil and placing it in a gallon size zip lock freezer bag to enjoy for another day. 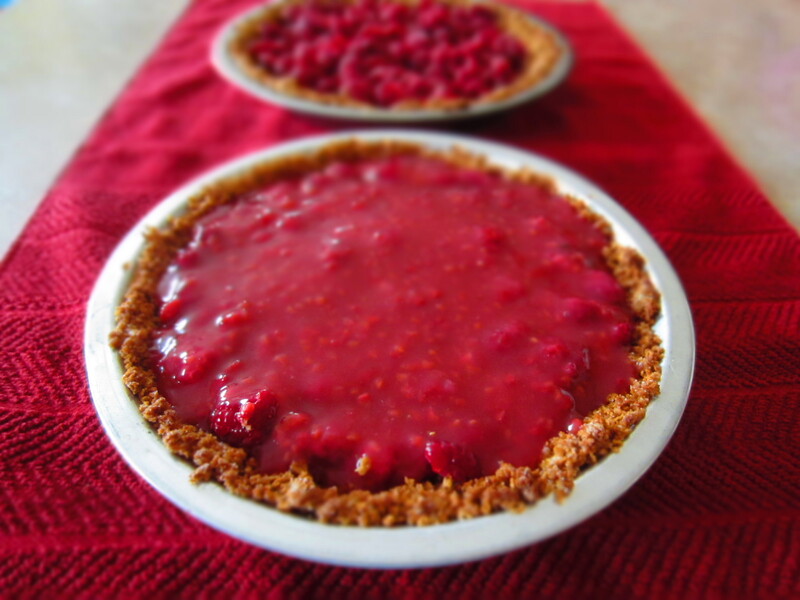 This pie was the perfect mixture of not too tart and not too sweet…just a wonderful fresh raspberry taste! Ahhh….back from a fantastic family vacation in Michigan! We did a bunch of fun things besides being at the beach. The day before we left we visited Andrew’s U-Pick Blueberries, a nice family farm with tons of berries ready to be picked. We made it 45 minutes before their stand closed and picked 7 lbs of blueberries to bring home. While picking, I day-dreamed of what to do with them…jam, pie…yum! 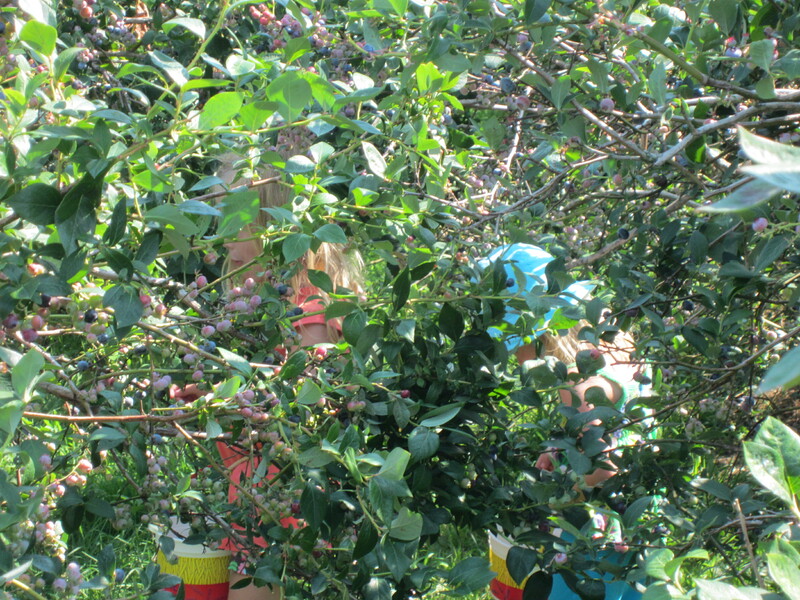 The kids enjoyed getting lost in the dense bushes! 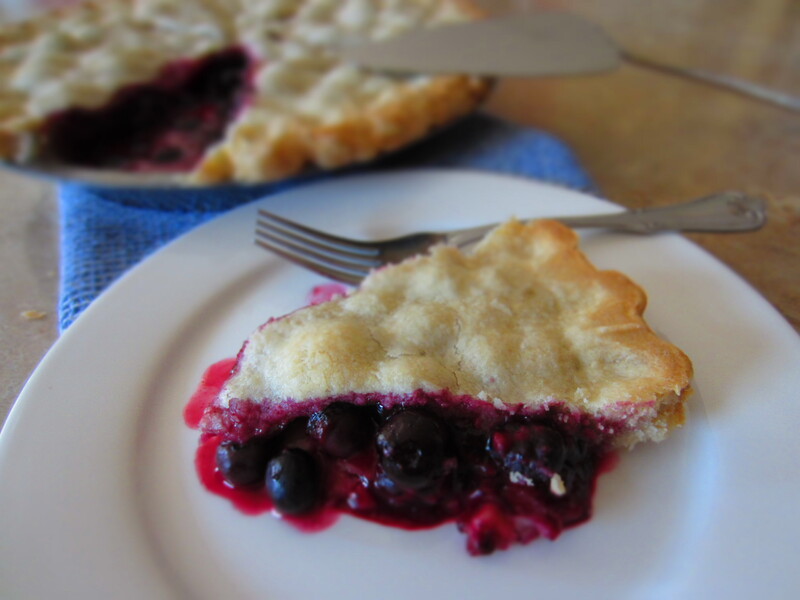 Here was my first stab at Blueberry Pie! 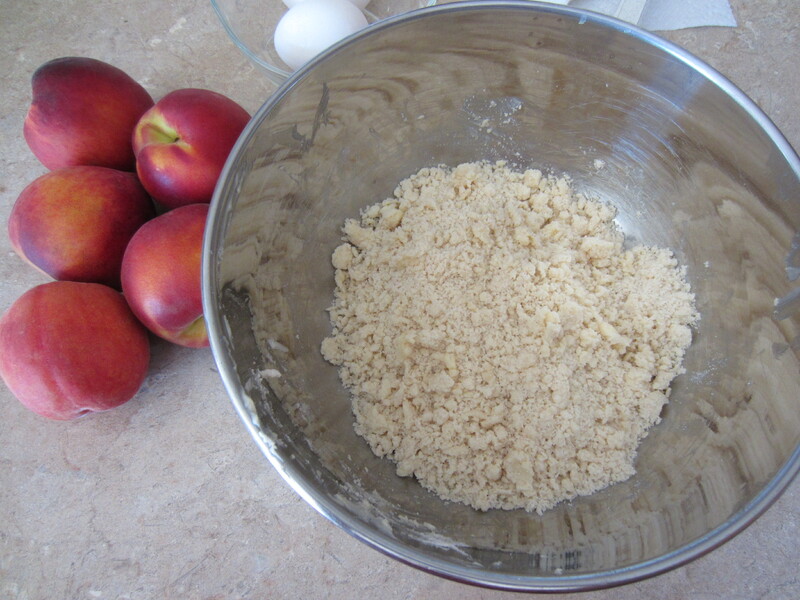 Combine all dry ingredients and cut in shortening and butter until pea-sized crumbs are achieved. 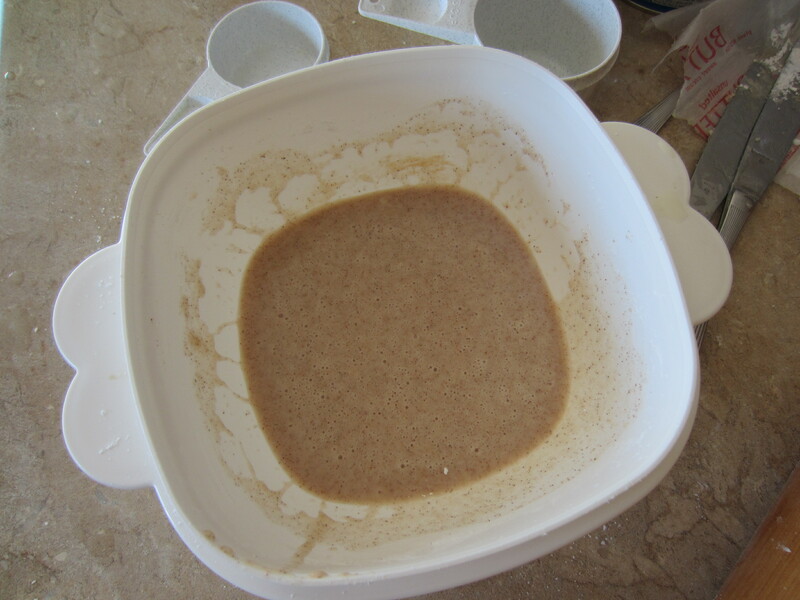 Add water and mix until the dough comes together. Roll dough evenly until it is 1/8 inch thick. I then refrigerated for 15 minutes, which made the dough easy to work with. 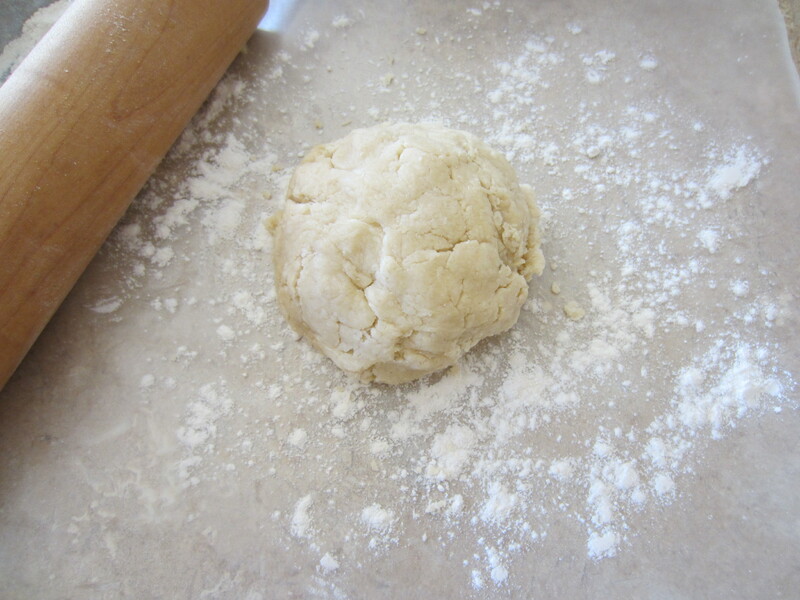 Kitchen tip: I rolled my dough in between two sheets of wax paper that were dusted with flour. Wow! 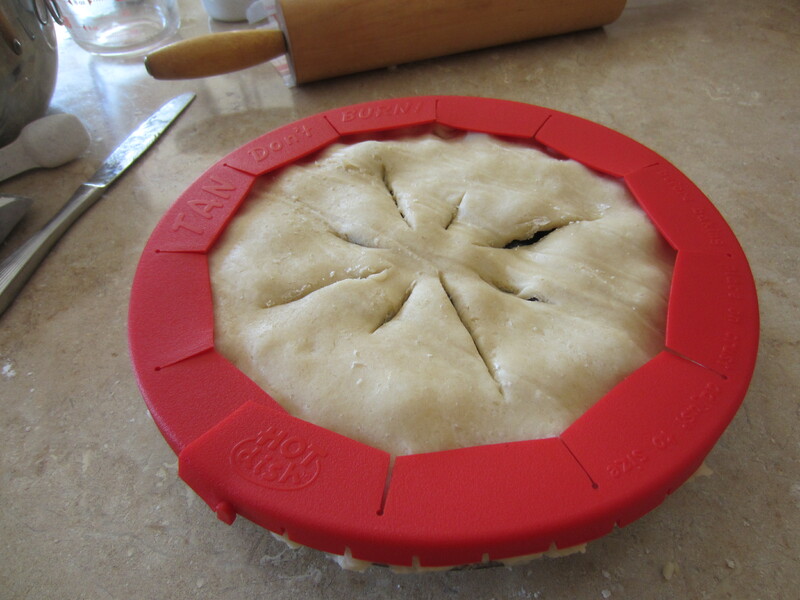 This really makes it easy to lift into a pie plate without sticking to the surface or rolling pin. 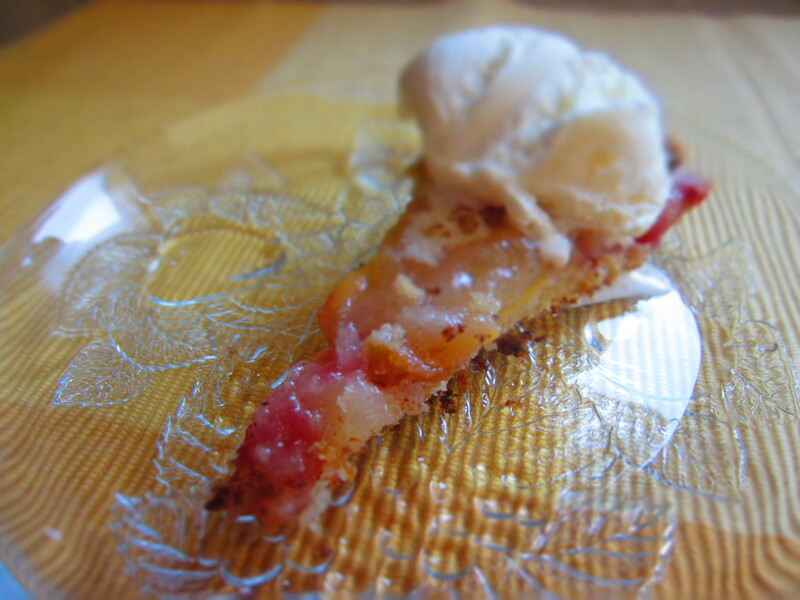 Note: I doubled the recipe to make a double crust pie. 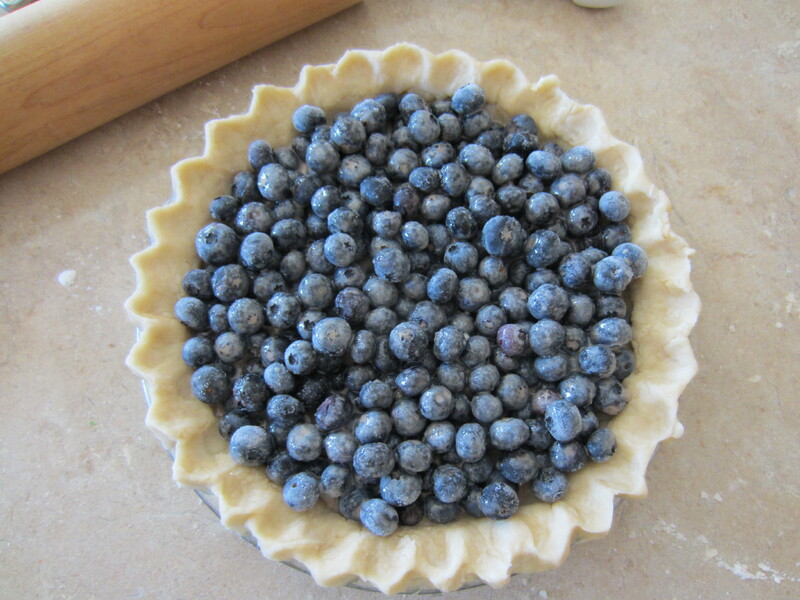 Place all the blueberries in the pie crust. Mix the remaining ingredients and pour over the blueberries. The pie is ready to bake, unless you want a top crust. Roll out dough for a top crust and place on top. 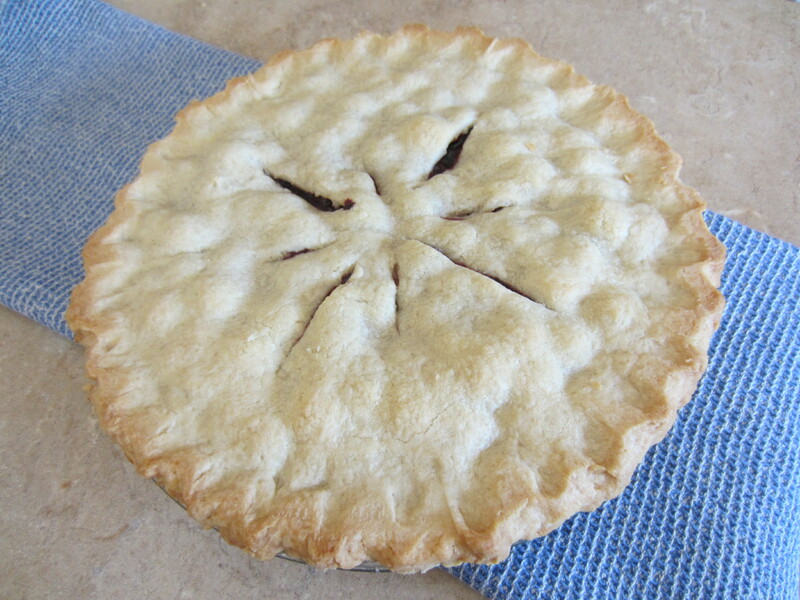 Pinch the sides together all the way around the pie and make slits in the top of the crust to vent. Yay for new kitchen gadgets! (Thanks Mom! Kitchen gadgets are the best gifts!!) I used a silicone pie shield which worked perfect so the pie crust didn’t brown or burn. If you don’t have a pie shield, then cover the crust edges with aluminum foil all the way around to get the same results. Bake 375° for 1 hour, until crust is golden and the filling is bubbling. The crust turned out perfectly golden brown! 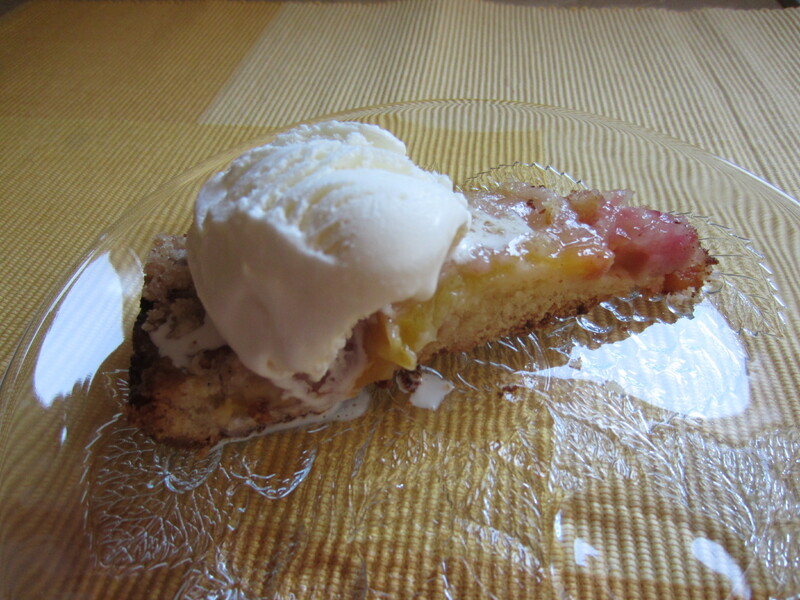 Can’t wait to serve up a warm slice with dab of vanilla ice cream! 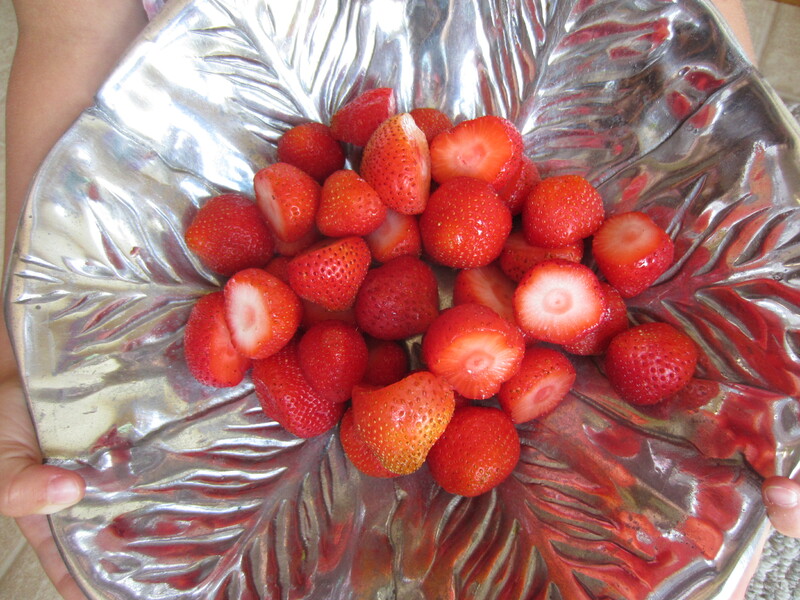 Hooray for the first day of summer and boo to the last day of farm fresh strawberries! My girls and I took a short trip to the local farm stand to purchase some fruits and vegetables. The sign off the side of the road said “last day for fresh strawberries”. We purchased a pint, hurried home to wash them up and have a taste – devine! 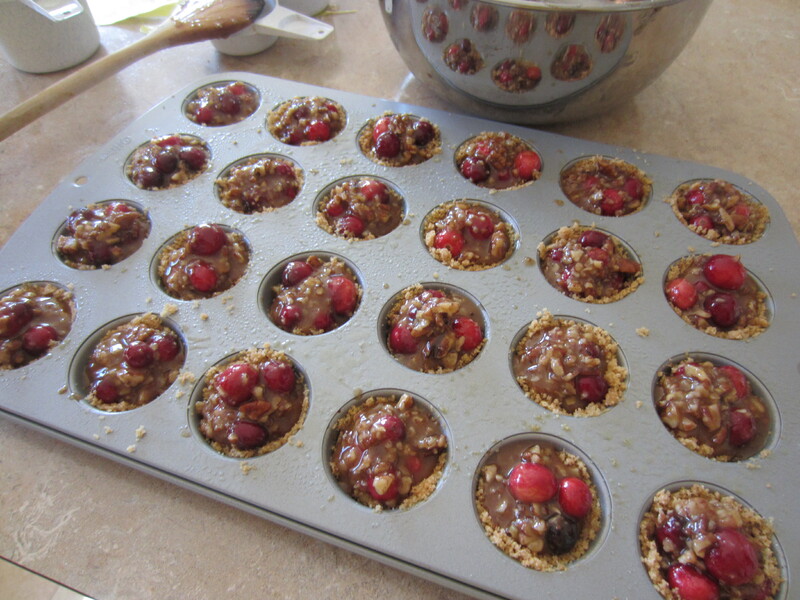 We easily could have gobbled them all up, but I thought it would be a great opportunity to get my kids baking a special treat on a hot summer day. 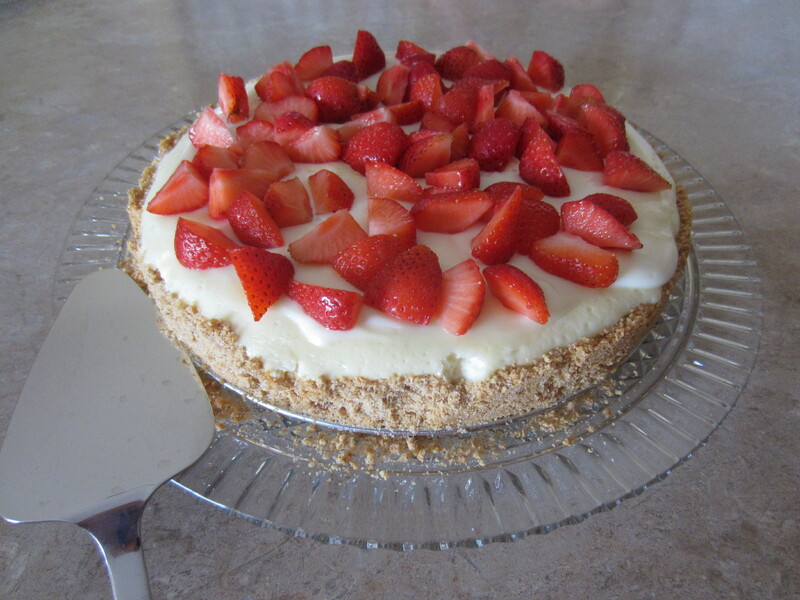 This light and refreshing cheesecake would be a great way to celebrate! 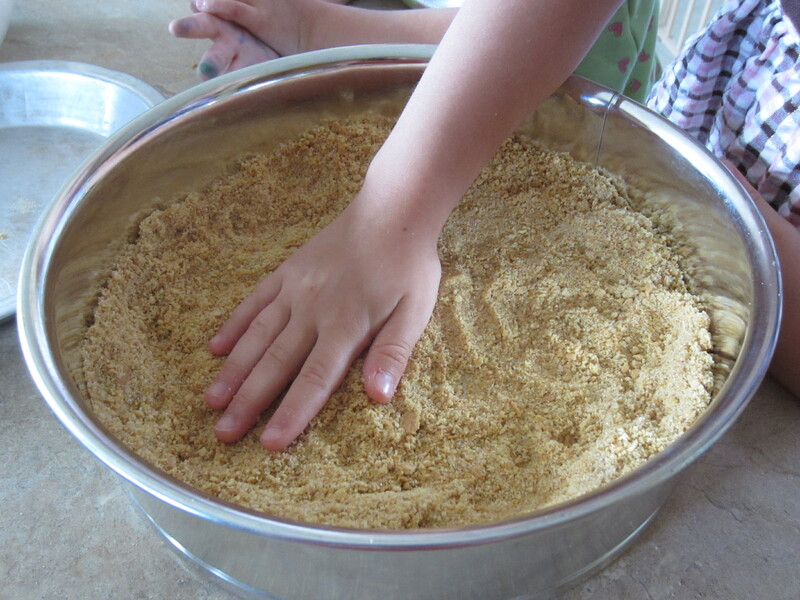 I had my 5 year old, mix 1 1/2 C of crushed graham crackers with 1/8 C melted butter and 2 TB sugar. She pressed the mixture on the bottom and up the sides of a 9 inch springform pan. 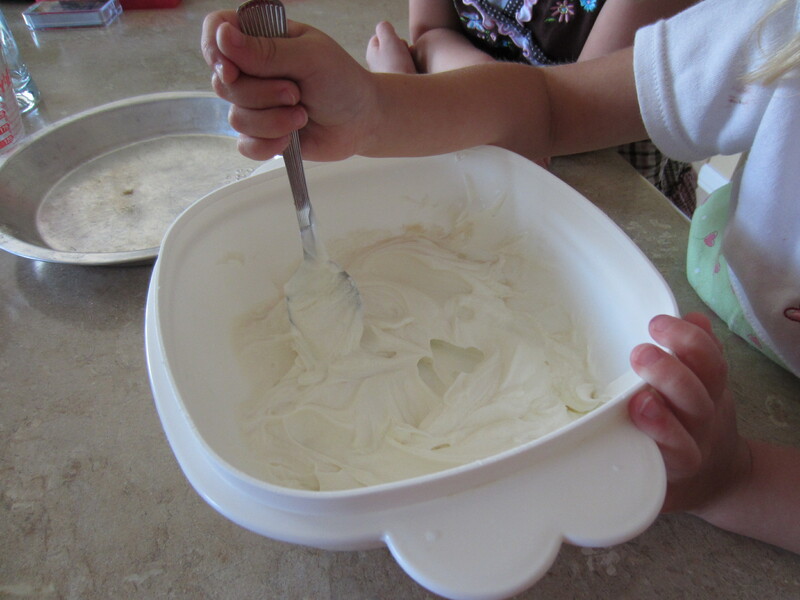 You can use a pie plate, but the higher sides of a springform pan kept the crumbs contained. 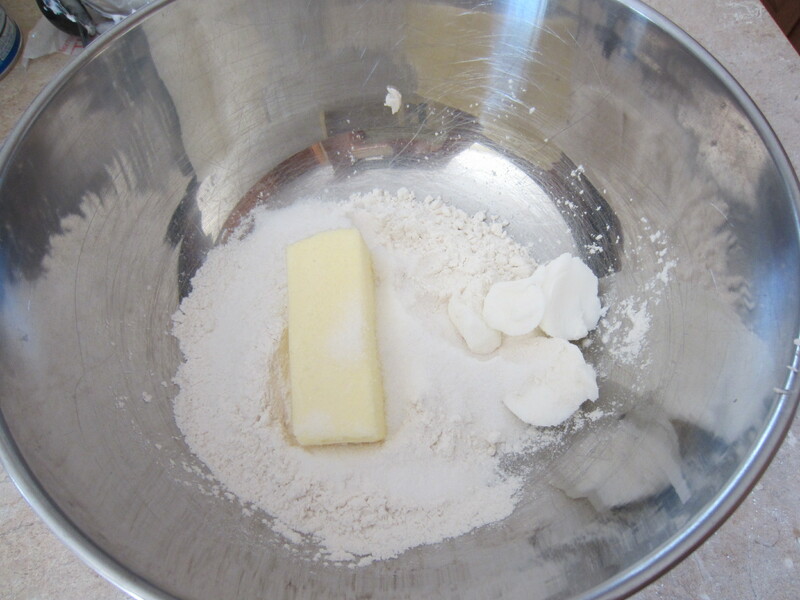 For the cheese mixture, they helped measure the following ingredients and placed them into a stand mixer: 2 – 8 oz. packages of cream cheese, 2 eggs, 1 TB vanilla, 4 TB half&half, 1/2 C sugar. The cheese mixtured was poured over the crust and placed into a 350° oven for 20 minutes. Once this came out of the oven, my 3 year old combined the following topping ingredients: 1/2 pint sour cream, 2 TB sugar and 1/2 tsp. vanilla. 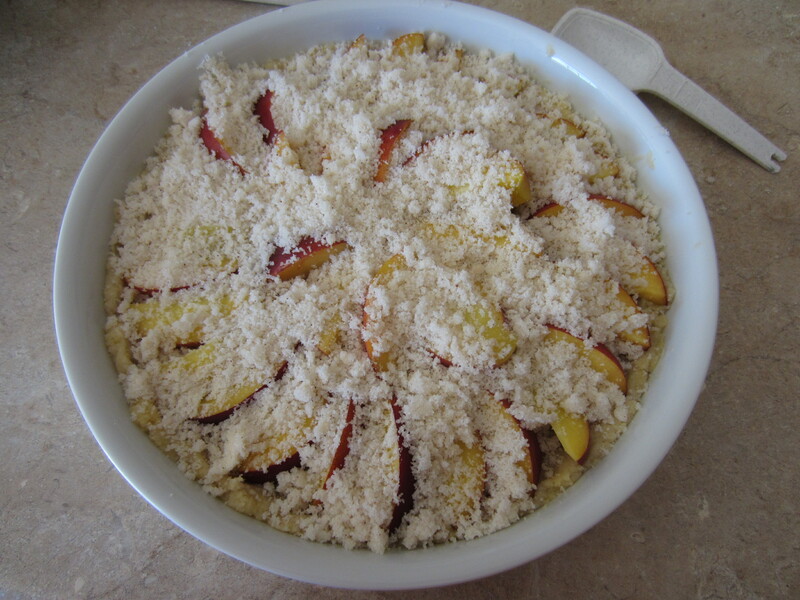 Spread the topping mixture over the cooled cheese cake and place in the 350° oven for an additional 5 minutes. Once cooled, we place the sliced farm fresh strawberries over the top. Heavenly! Light and refreshing on a hot summer day.